Handy sign telling birders exactly where to search for the rare Red-cockaded Woodpecker, at W G Jones State Forest near Houston. Friday morning saw me once again heading to the Texas coast, targeting three species of small plover that I still needed for my list: Piping, Semipalmated, and Snowy. The first species is classified as “Near Threatened” by the IUCN, with a total world population of just 6,500 birds, while the last used to be considered part of the very widespread Kentish Plover, but has now been split. It was a beautiful day, and I took the scenic route to the Bolivar Shorebird Sanctuary via the Galveston ferry. While waiting for the ferry, lots of birds could be seen around the port including huge numbers of Laughing Gulls interspersed with the occasional Ring-billed and American Herring Gull. Three species of terns were flying about, too: Royal, Forster’s, and my personal first Sandwich Terns for north America. Laughing Gulls, Galveston, November 20th. The tide was very high when I arrived at the beach at the end of Rettilon Road, but the lack of mudflats was not a problem for my target birds – they are partial to sandy beaches, and indeed I found my first Piping Plovers almost as soon as I arrived, running around on the sand close to the car. Semipalmated Plover was also quickly located at a small pool behind the beach, while Snowy Plover turned out to be the least common of the three, but still findable without too much difficulty. Apart from the plovers, this small pool held perhaps one hundred Western Sandpipers, small numbers of Dunlin and Sanderling, and a Least Sandpiper, while a welcome find on the nearby dunes was a group of four Horned Larks. The beach wader roosts contained large numbers of American Avocets, and lots of gulls and terns including Caspian Tern – a second north American tern tick for the day, and a bird I have now seen on four continents. A Reddish Egret flew past along the shoreline, an uncommon coastal speciality, and another new addition to my list. Piping Plover sporting red and blue leg rings at Bolivar island, November 20th. 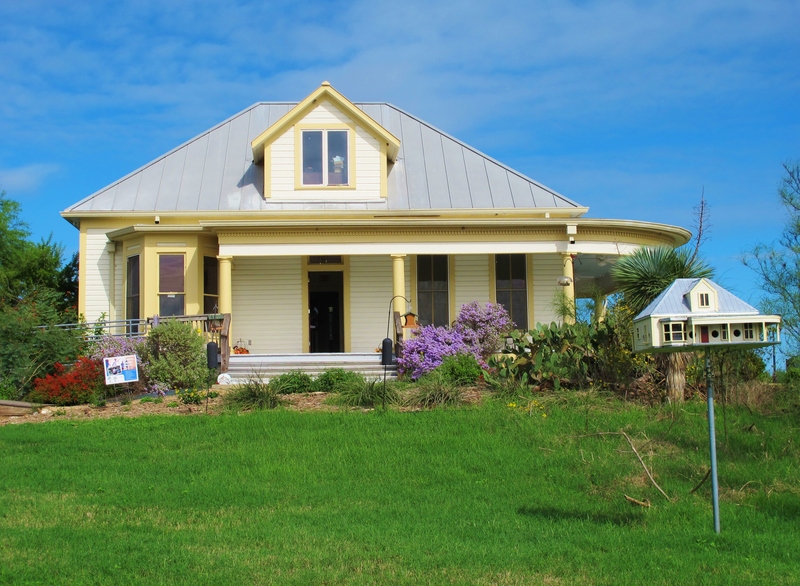 I decided to continue driving east along the coast, then north through High Island en route to Anahuac Wildfowl Refuge, where there were many of the same birds I had seen on my previous visit to this site a month ago. Wintering ducks on Shoveler Pond included several individuals of one of my favorite species, Canvasback, but my personal highlight at Anahuac was a passage of Tree Swallows – this north American hirundine is a late fall migrant, and until now had been a big gap on my USA list as it is rather common. Snowy Egret at Shoveler Pond, Anahuac Wildfowl Refuge, November 20th. Two days later, I embarked on quite a different kind of birding trip. Just 40 minutes north of Houston is the W G Jones State Park, one of the last remaining refuges for the rare Red-cockaded Woodpecker in Texas. The population of this species has fallen by a staggering 99% from its original levels, and now numbers just 13,500 birds. Unlike most woodpeckers, which utilise dead trees for their nesting and roosting holes, the Red-cockaded Woodpecker bores its holes in live pine trees afflicted with heartwood disease. It is found in open pine forests, and is threatened by habitat loss. Sunday morning dawned extremely cold for the time of year, with overnight lows of just 4C (39F). At first light – around 7.00am – I was in position beside a small pond in the forest south of road 1488, in an area which looked promising for Red-cockaded Woodpecker – and my suspicions were confirmed by signs on the trees telling me I was in an active “cluster” area for the species. However, after wandering around in the area for two hours I still hadn’t heard or seen one, although I was compensated in part by excellent views of several Yellow-bellied Sapsuckers and Northern Flickers, brief sightings of Pileated Woodpecker and Brown-headed Nuthatch, and lots of Eastern Bluebirds and Pine Warblers. Red-cockaded Woodpecker habitat – open pine forest – at W G Jones State park. I decided to try my luck on the north side of the road, and here I quickly found more signposted woodpecker territories and even a tree with an artificial nest box implanted in the trunk. My luck was in here, as within just a few minutes of my arrival I heard a distinctive raspy-sounding call, and a Red-cockaded Woodpecker flew in, giving me excellent views as it fed on the trunks of several large pines. All pied woodpeckers are attractive, but to my eye this species is especially smart and clean-cut, with a neatly barred back and conspicuous pure white cheeks. I’ve now seen 45 woodpecker species this year, but with only one more remaining possible year tick in this part of Texas (Red-headed Woodpecker) it doesn’t look like I am going to get to 50. I bumped into some other birders, who had seen two Blue-headed Vireos along the trail, which I didn’t find but instead had much better views than before of a pair of Brown-headed Nuthatches. All in all, it was a most satisfactory visit to this site, which I would definitely recommend as being a (fairly) easy and accessible place to spot the rare Red-cockaded Woodpecker. Lifers: Piping Plover, Semipalmated Plover, Snowy Plover, Reddish Egret, Tree Swallow, Brown-headed Nuthatch, Red-cockaded Woodpecker (total 2,038). 2015 Year Ticks: Sandwich Tern, American Herring Gull, Western Sandpiper, Horned Lark, Marsh Wren, American Goldfinch, Pileated Woodpecker, Yellow-bellied Sapsucker (total 1,067). Shoveler Pond at Anahuac Wildfowl Refuge, November 20th. Black-bellied Whistling Ducks, a Pied-billed Grebe, and a skulking White Ibis at Anahuac, November 20th. 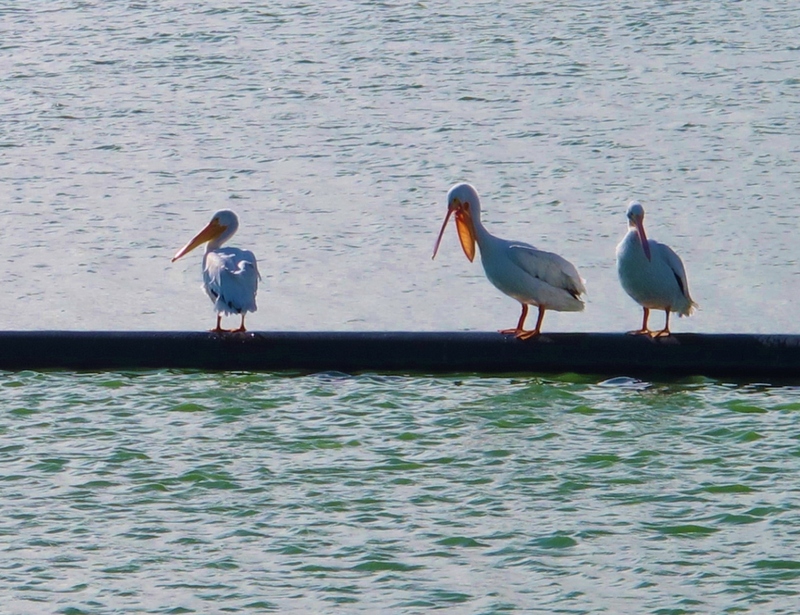 American White Pelicans, Mitchell Lake, November 8th. On the southern outskirts of San Antonio, just 45 minutes away from my current location of New Braunfels, Texas, the Mitchell Lake Audobon Center looked to be the ideal destination for a Sunday morning birding visit. The site boasts a mixture of habitats including ponds, scrub, and marshland, and a high bird list is possible here – according to eBird, 337 species have been recorded within the confines of the reserve. I arrived as soon as the site opened at 8.00am, and after paying my entry fee ($5) I decided to check out the nature trail closest to the visitor center. It was a good decision, as one of the first birds I saw was a lifer: a Long-billed Thrasher, lurking low in a patch of scrub but in plain view. Halfway along the trail, another lifer presented itself – a Blue-grey Gnatcatcher. It was an excellent start to the morning, but with half an eye on the time (I could only spare three hours here), I returned to my car to head towards the main part of the reserve. Most of the Mitchell Lake Audobon Center consists of man-made lakes separated by drivable embankments, interspersed with areas of scrub and a couple of more wooded areas. At the southern end of the reserve lies Mitchell Lake, a large natural lake. The western arm of Mitchell Lake has some shallower parts more suitable for herons and wading birds. Like many bird reserves in the US, it is designed with vehicular access in mind and there are no restrictions on driving along the embankments. This can be handy for close views of the birds. I drove slowly along the embankments with the windows rolled down, stopping every time I saw or heard something interesting. Ladder-backed Woodpecker is a common speciality of this site, which for a while gave me the run around. I heard it on a number of occasions and glimpsed one in flight before finally getting excellent views of a male at the base of a tree trunk, an excellent way to mark my 42nd woodpecker species of 2015. 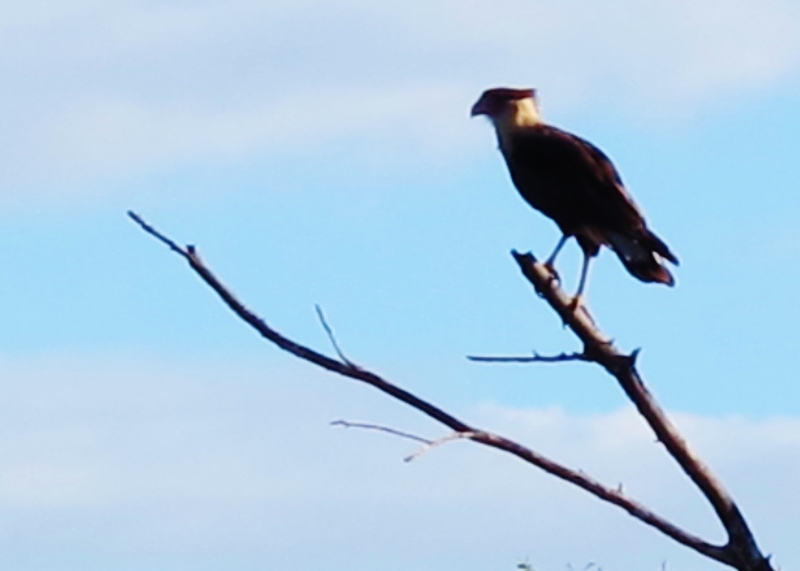 Crested Caracara, Mitchell Lake, November 8th. A few hirundines passed overhead, several of which proved – to my delight – to be Cave Swallows, another bird I had never seen before. The lifers were coming thick and fast, with two Couch’s Kingbirds showing well on overhead wires, and a smart Verdin taking advantage of a calm sunny corner to hunt for insects. The main lake held plenty of ducks but the viewing conditions into the sun weren’t ideal, so I didn’t spend too long checking the flock. However a quick scan revealed a few Lesser Scaup and several Redheads among the numerous Ruddy Ducks. Close inshore, a small group of Pied-billed Grebes also contained two Least Grebes, a scarce bird in the USA which I’ve seen before only in Honduras. American White Pelicans are numerous at this location, and it was easy to obtain close views as they loafed on concrete pipes close to the embankments. I was looking for good shorebird habitat but I didn’t manage to find any until right at the end of my visit, in the north-western arm of Mitchell Lake. Fortunately, my target species here – American Avocet – is an easy bird to find, and I was soon looking at quite a number of them, plus three even more conspicuous Roseate Spoonbills. I drove back to the entrance gate, and before passing through I stopped the car briefly to grab a bite of food. I was idly looking out of the window at the grass verge when a medium-sized brown bird hopped out. Raising my binoculars, I was soon eyeball to glowing orange eyeball with a Curve-billed Thrasher, yet another lifer for the morning – what a fitting way to end a very productive visit. Lifers: Long-billed Thrasher, Curve-billed Thrasher, Blue-grey Gnatcatcher, Ladder-backed Woodpecker, Verdin, Couch’s Kingbird, Cave Swallow, American Avocet (total 2,028). 2015 Year Ticks: Lesser Scaup, Least Grebe, Double-crested Cormorant, American White Pelican, Cooper’s Hawk, Spotted Sandpiper, House Wren, American Pipit, White-crowned Sparrow (total 1,035). The Mitchell Lake Audobon Center headquarters.